Happy #humpday folks! Feels like summer is never leaving … perfect whether to ride your bike instead of going by car. @lieblingsstil shows us the perfect outfit for this kind of weather - and of course her #LKD #blingblingold basket is part of it! Dieser Beitrag wurde unter news abgelegt und mit lkd, lillykunkeldesign, palmleafluxury, palmleaflove, handcrafted, moroccanbaskets, lillyintouch, repost, regram, bloggerstyle, summervibes, streetstyle, lieblingsstil, gold, bloggerlook, blingbling, indiansummer, humpday, falloutfit, blingblingold, goldenfall?, endlesssummer, citylook, ü50blogger, bestagertrends verschlagwortet am 17/10/2018 von lilly. 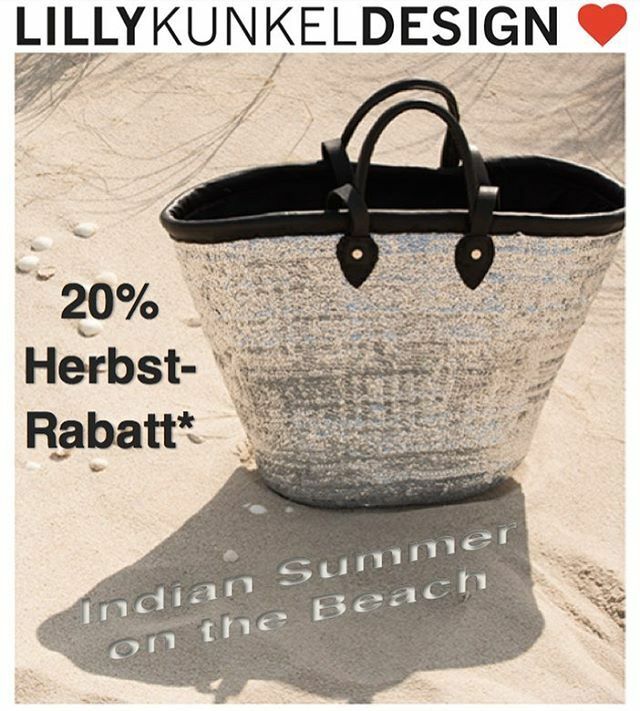 Dieser Beitrag wurde unter news, tumblr abgelegt und mit lkd, lillykunkeldesign, palmleafluxury, lillyintouch, ibizabasket, beachbag, basket, shopperbag, handmade, travelessentials, moroccanbasket, sequinembroidery, getyours, autumn2016, autumn, herbstrabatt, silverbullet, rabattcode, specialoffer, dresssharpthisautumn, indiansummer verschlagwortet am 19/10/2016 von lilly.